Baker, D., R. Skaggs, and D. Ruschy, 1991: Snow depth required to mask the underlying surface. J. Appl. Meteor. 30, 387-392. Barker, H. and J. Davies, 1989: Surface albedo estimates from Nimbus-7 ERB data and a two-stream approximation ofthe radiative transfer equation. J. Climate 2, 409-418. Barker, H., Z. Li, and J.-P. Blanchet, 1994: Radiative characteristics of the Canadian Climate Centre second-generation general circulation model. J. Climate 7, 1070-1091. Barnett, T., L. Dumenil, U. Schlese, E. Roeckner, and M. Latif, 1989: The effect of Eurasian snow cover on regional and global climate variations. J. Atmos. Sci. 46, 661-685. Betts, A. and J. Ball, 1987: Albedo over the boreal forest. J. Geophys. Res. 102, 28901-28909. Bliss, N. and L. Olson, 1996: Development of a 30-arc-second digital elevation model of South America. In Pecora thirteen, human interactions with the environment-perspectives from space. Sioux Falls, South Dakota. Bonan, B., F.C. Ill, and S. Thompson, 1995: Boreal forest and tundra ecosystems as components ofthe climate system. Clim. Change 29, 145-167. Chang, A., J. Foster, and D. Hall, 1987: Nimbus-7 SMMR derived global snow cover parameters. Annals of Glaciology 9, 39-44. Claussen, M., U. Lohmann, E. Roeckner, and U. Schulzweida, 1994: A global data set of land-surface parameters Max Planck Institute for Meteorology, Report No. 135, MPI for Meteorology, Hamburg. Darnell, W., W. Staylor, S. Gupta, N. Ritchey, and A. Wilber, 1992: Seasonal variation of surface radiation budget derived from International Satellite Cloud Climatology Project C1 Data. J. Geophys. Res. 92, 15741-15760. Dickinson, R., 1983: Land surface processes and climate-surface albedos and energy balance. In B. Saltzman (Ed. ), Theory of climate, Volume 25 ofAdvances in Geophysics, pp. 305353. Academic press. Dickinson, R., A. Henderson-Sellers, and P. Kennedy, 1993: Biosphere-Atmosphere Transfer Scheme (BATS) Version le as coupled to the NCAR Community Climate Model. In NCAR/TN-387+STR. National Center for Atmospheric Research, Boulder, Colorado. Douville, H., J.-F. Royer, and J.-F. Mahfouf, 1995a: A new parameterization for the Météo-France climate model, Part 1: Validation in stand-alone experiments. Climate Dynamics 12, 21-35. Douville, H., J.-F. Royer, and J.-F. Mahfouf, 1995b: A new parameterization for the Météo-France climate model, Part 2: Validation in a 3-D GCM experiment. Climate Dynamics 12, 37-52. Edelmann, W., D. Majewski, E. Heise, P. Prohl, G. Doms, B. Ritter, M. Gertz, and T. Hanisch, 1995, Dokumentation des EM/DM-Systems. DWD. Foster, D. and R. Davy, 1988: Global snow depth climatology. In USAF publication USAFETAC/TN-88/006, pp. 48. Scott Air Force base, Illinois. Foster, J., G. Listen, R. Koster, R. Essery, H. Behr, L. Dumenil, D. Verseghy, S. Thompson, D. Pollard, and J. Cohen, 1996: Snow cover and snow mass intercomparison of general circulation models and remotely sensed datasets. J. Climate 9, 409-426. Garratt, J. 1993: Sensitivity of climate simulations to land-surface and atmospheric boundary-layer treatments - a review. J. Climate 6, 419-449. Gates, W.L., 1992: AMIP: The atmospheric model intercomparison project. Bull. Amer. Meteor. Soc. 73, 1962-1970. Gutzler, D. and R. Rosen, 1992: Interannual variability of wintertime snow cover across the Northern Hemisphere. J. Climate 5, 1441-1447. Hall, F., J. Townshend, and E. Engman, 1995: Status of remote sensing algorithms for estimation of land surface state parameters. Remote Sens. Environ. 51, 138-156. Harding, R. and J. Pomeroy, 1996: The energy balance of the winter boreal landscape. J. Climate 9, 2778-2787. Hedstrom, N. and J. Pomeroy, 1998: Measurements and modelling of snow interception in the boreal forest. J. Hydrol. Processes 12, 1611-1625. Iwasaki, T., 1991: Year-to-year variation of snow cover area in the Northern Hemisphere. J. Meteor. Soc. Japan 69, 209-217. Joseph, J., J. Iaquinta, and B. Pinty, 1996: The use of two-stream approximations for the parameterization of solar radiative energy fluxes through vegetation. J. Climate 9, 23262336. Kukla, G. and D. Robinson, 1981: Accuracy of snow and ice monitoring. Snow watch 1980, Glaciological Data, Report GD-5. Kung, E., R. Bryson, and D. Lenschow, 1964: Study of a continental surface albedo on the basis of flight measurements and structure of the earth's surface cover over North America. Monthly Weather Review 92, 543-564. Marquardt, 1963: An algorithm for least-squares estimation of nonlinear parameters. J. Soc. Ind. Appl. Math. 11, 431-441. Marshall, S., J. Roads, and G. Glatzmaier, 1994: Snow hydrology in a general circulation model. J. Climate 7, 1251-1269. Masuda, K., Y. Morinaga, A. Numaguti, and A. Abe-ouchi, 1993: The annual cycle of snow cover extent over the Northern Hemisphere as revealed by NOAA/NESDIS satellite data, Volume 28 of Geographical Reports of Tokyo Metropolitan University. Miller, D., 1962: Snow in trees - where did it go? In Proc. ofthe 30th annual meeting of the Western Snow Conference, Volume 30, pp. 21-29. Mylne, M. and P. Rowntree, 1991: Deforestation of Amazonia - modelling the effects of albedo change. Technical Report Clim. Res. Tech. Note CRTN 7, Hadley Centre, UK Met. Office, Bracknell. Nakai, Y., T. Sakamoto, T. Terajima, H. Kitahara, and T. Saito, 1994: Snow interception by forest canopies:weighing a conifer tree, meteorological observation and analysis by the Penman-Monteith formula. IAHS Publ. No. 223, pp. 227-236. Otterman, J., 1984: Albedo of a forest modeled as a plane with dense protrusions. J. Clim. Appl. Meteor. 23, 297-307. Pomeroy, J. and K. Dion, 1996: Winter radiation extinction and reflection in a boreal pine canopy: measurements and modelling. J. Hydrol. Processes 10, 1591-1608. Randall, D., R. Cess, J. Blanchet, S. Chalita, R. Colman, D. Dazlich, A.D. Genio, E. Keup, A. Lacis, H.L. Treut, X.-Z. Liang, B. McAvaney, J. Mahfouf, V. Meleshko, J.-J. Morcrette, P. Norris, G. Potter, L. Rikus, E. Roeckner, J. Royer, U. Schlese, D. Sheinin, A. Sokolov, K. Taylor, R. Wetherald, I. Yagai, and M.-H. Zhang, 1994: Analysis of snow feedbacks in 14 general circulation models. J. Geophys. Res. 99, 20757-20771. Robinson, D., K. Dewey, and R. Heim, 1993: Global snow cover monitoring: an update. Bull. Amer. Meteor. Soc. 74, 1689-1696. Robock, A., K. Vinnikov, C. Schlosser, N. Speranskaya, and Y. Yue, 1995: Use of midlati-tude soil moisture and meteorological observations to validate soil moisture simulations with biosphere and bucket models. J. Climate 8, 15-35. Roeckner, E., K. Arpe, L. Bengtsson, M. Christoph, M. Claussen, L. Dümenil, M. Esch, M. Giorgetta, U. Schlese, and U. Schulzweida, 1996: The atmospheric general circulation model ECHAM-4: Model description and simulation of present day climate. Max Planck Institute for Meteorology Report No. 218. MPI for Meteorology, Hamburg. Roeckner, E., K. Arpe, L. Bengtsson, L.D.S. Brinkop, M. Christoph, M. Esch, E. Kirk, F. Lunkeit, M. Ponater, B. Rockel, R. Sausen, U. Schlese, S. Schubert, and M. Windelband, 1992: Simulation of the present day climate with the ECHAM model: impact of model physics and resolution. Max Planck Institute for Meteorology Report No. 93. MPI for Meteorology, Hamburg. Roesch, A., 2000: Assessment of the land surface scheme in climate models with focus on surface albedo and snow cover. Zürcher Klima-Schriften No. 78. ETH Zürich. Roesch, A., H. Gilgen, M. Wild, and A. Ohmura, 1999: Assessment of GCM simulated snow albedo using direct observations. Climate Dynamics 15, 405-418. Roesch, A., J.-P. Schulz, and M. Wild, 1997: Comparison and sensitivity studies ofthe land-surface schemes in the ECHAM General Circulation Model and the Europa-Modell. Max Planck Institute for Meteorology Report No. 244. MPI for Meteorolgy, Hamburg. Sellers, P., 1985: Canopy reflectance, photosynthesis and transpiration. Int. J. Remote Sensing 6, 1335-1372. Sellers, P., D. Randall, G. Collatz, J. Berry, C. Field, D. Dazlich, C. Zhang, G. Collelo, and L. Bounoua, 1996a: A revised land surface parameterization (SiB2) for atmospheric GCMs, Part I: Model formulation. J. Climate 9, 676-705. Sellers, P., B. Meeson, J. Closs, J. Collatz, F. Corprew, D. Dazlich, F. Hall, Y. Kerr, R. Koster, S. Los, K. Mitchell, J. McManus, D. Myers, K.-J. Sun, and P. Try, 1996b: The ISLSCP Initiative global datasets: Surface boundary conditions and atmospheric forcings for land-atmosphere studies. Bull. Amer. Meteor. Soc. 77, 1987-2005. Strahler, A., J.-P. Muller, W. Lucht, C. Schaaf, T. Tsang, F. Gao, X. Li, P. Lewis, and M. Barnley, 1999: MODIS BRDF/ Albedo Product: Algorithm theoretical basis document, pp. 53. Thomas, G. and P. Rowntree, 1992: The boreal forests and climate. Quart. J. R. Met. Soc. 118, 469-497. 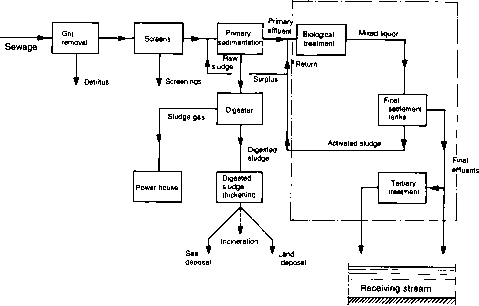 Verseghy, D., 1991: CLASS - A Canadian Land Surface Scheme for GCMs. I Soil model. Int. Northern Hemisphere snow cover. Int. J. Climatology 16, 961-982. Walsh, J. and B. Ross, 1988: Sensitivity of 30-day dynamical forecasts to continental snow cover. J. Climate 1, 739-754. Whitlock, C., T. Charlock, W. Staylor, R. Pinker, I. Laszlo, A. Ohmura, H. Gilgen, T. Konzelmann, R. DiPasquale, C. Moats, S. LeCroy, and N. Ritchey, 1995: First global WCRP surface radiation data set. Bull. Amer. Meteor. Soc. 76, 905-922. Yamazaki, T., K. Fukabori, and J. Kondo, 1996: Albedo of forest with crown snow. J. Jpn. Soc. Snow and Ice 58, 11-18. Yamazaki, T., J. Kondo, and T. Watanabe, 1992: A heat-balance model with a canopy of one or two layers and its application to field measurements. J. Appl. Meteor. 31, 86-103. Yang, Z.-L., R. Dickinson, A. Hahmann, G.-Y. Niu, M. Shaikh, X. Gao, R. Bales, S. Sorooshian, and J. Jin, 1999: Simulation of snow mass and extent in general circulation models. Hydrol. Process. 13, 2097-2113. Yang, Z.-L., R. Dickinson, A. Robock, and K. Vinnikov, 1997: Validation of the snow submodel of the bioshere-atmosphere transfer scheme with Russian snow cover and meteorological observational data. J. Climate 10, 353-373.